Are you a beginning violin player and would you like to learn your first repertoire on the violin? Are you looking for guidance to learn your first songs, whether you are learning at home or with a teacher? 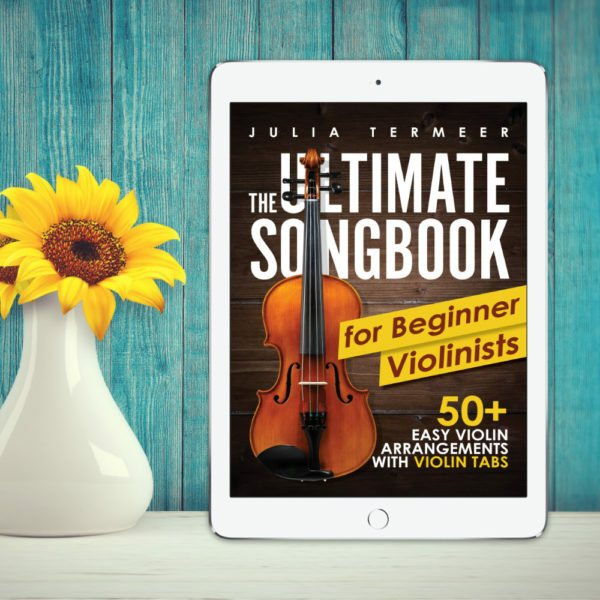 The Ultimate Book for Violin Beginners offers an easy solution for any beginning violinists to learn your first songs on the violin, without needing to understand everything about musical notation yet. The easy violin tab system you are about to work with are proven to have helped many violin learners around the world to learn the violin quicker and with more fun. By saving time on learning every detail about music notation, you are able to start practicing & get results on your violin much quicker. With accompanying video tutorials on the YouTube channel Violinspiration, you will be getting the professional support you need to build your repertoire and improve your technique while practicing. With this book, all you have got to do now is get your violin and start playing. Each song you will learn will get you closer to the violinist you always have wanted to be. 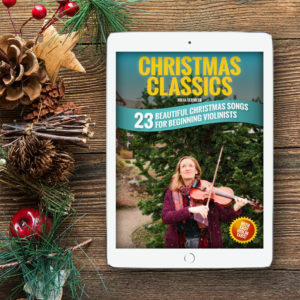 Take your violin learning to the next level: scroll to the top of the page and click ‘Buy Now’ to start practicing with the book right now!